Did I miss something? Where did the “Hot Sauce Committee, Pt. 2” come from? I didn’t even know there was a Pt. 1. For most artist, a two-year delay would certainly kill a record. Not so for the Beastie Boys. Like all their records, “Hot Sauce” exists in a strange time warp, somewhere between 1985 and outerspace. 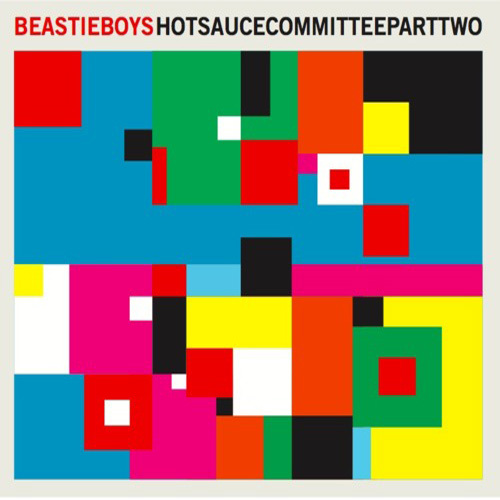 The Beastie Boys have never felt obliged to fit into a definable category. Over the past 25 years, the groups has done pretty much done whatever they’ve wanted. Obnoxious hip-hop (“License to Ill”)? Sure. An eight-song punk rock EP (“Aglio e Olio”) that clocks in at 11 minutes? Why not. An ‘80s throwback album (“To the 5 Boroughs”) followed by a an instrumental record (“The Mix-Up”). Of course. While the trio have kept with the same rhyme patterns since their early days (who else can still get away with using lines like “Let me introduce myself, I’m Ad-Rock?”), their music never stays in the same place. “Say It” sounds like a cover of Onyx’s 1993 hit “Slam” and “Don’t Play No Game” finds the group on a tropical island with Santogold. “Hot Sauce” is wildly uneven. Things get murky in the middle third (the fuzzy “Long Burn the Fire,” the warbly “Tadlock’s Glasses”) and there are a few misses (“Crazy A%% S*&%”). But that’s a small price to pay for a record that is willing to take risks without taking itself too seriously.